Alstom is shipping the first additional Metropolis trainset to Graña y Montero Ferrovías in Peru. In total 20 new six-carriage trains will be delivered to run on the Lima Metro as well as 19 other carriages to lengthen existing trainsets from five to six carriages. 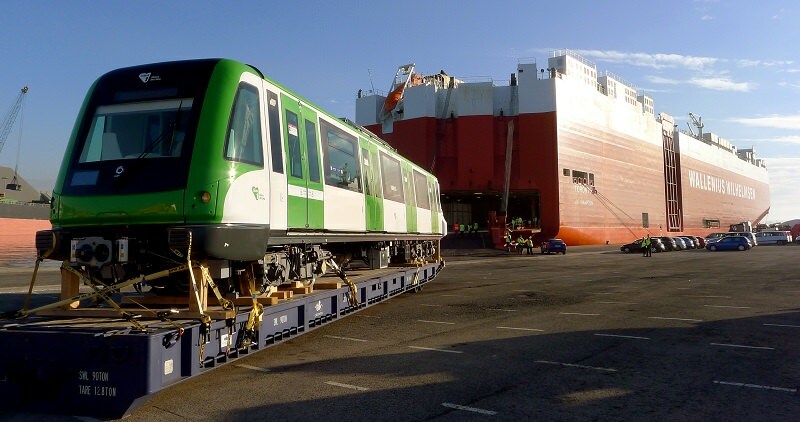 The first train has left Alstom’s Santa Perpetua factory, Barcelona, and will be setting sail from the port of Santander for Peru. The new Metropolis trains will operate on Line 1 of the Lima Metro, which is 34km long and includes 26 stations. They feature large doors, low flooring, extra wide seats and gangways between the coaches. The new trains will reduce the headway to three minutes and increase the line’s capacity to 48,000 passengers per hour.